You just sit and try to understand. But some things cannot be understood. Some paths are just too dark to see the other side, and once you have turned down the path there’s no going back. It’s dark and no one can take the journey for you. There is nothing but forward, though you do it with trembling and uncertainty. This journey is not of my choosing, but it is mine nonetheless. Here is my story as shared by J. D. Ryan on CBS Radio KRLD 1080AM. Imagine, if you will, that you are an Israelite in Jerusalem and the army of Assyria is encamped against your walls. All the nations around you have fallen. Jerusalem is the last city standing, your city, Zion, which God had promised to protect. Tuesday morning, a day like any other. It was a beautiful fall day: the air fresh, the sun warm, and the skies clear. As always the children and I began with Bible study. The day’s subject was Shadrach, Meshach and Abednego. In discussing the three being placed into the fiery furnace for their unwavering faith in God, I made the cryptic statement that no matter what happens in our life, even when we go through the fiery furnace, still we must follow the Lord. I did not know that at that very moment my own life would be put through the furnace and my words tested. The day was September 11, 2001. My life forever changed as my father was ripped from the world by terrorists. In that moment I felt forsaken. All that I had believed in, trusted in, was stripped out from under me. How could a benevolent God, a God who loves me, allow such a tragedy to happen knowing full well how this would wound me? This is not just taking a pen and writing your name on His skin. You have been inscribed, that is, engraved. He has taken a blade and carved His palm, wounding His flesh so that forever He will bear the scars of your name upon His hands. Not only does He know our name, but He bears our scars upon His flesh—forever. I have journeyed down a dark and empty road: alone, abandoned, and forsaken. But I have found something along this desolate way: a beautiful truth. My foundation is sure…and I am not alone. I think the key is in the word “through,” for we do go through, we do not stay in the furnace. There is an end to our trouble. For even as the three young men stood within the flames of the furnace, they were not alone, but a fourth stood beside them. We all face trials. We have difficult times. God never promised us otherwise. In fact, He told us that in this world we will have tribulation (John 16:33). But He did not leave us to travel this world without aid. Though God’s protection is not always for our bodies, it is a constant for our souls. And in the end, it is our final home that is most important. This mortal coil, which we cling to so ardently, is not what it is all about. Yet when one that is loved is taken, we cannot help but look back at what has been lost. We serve a powerful God. An all-knowing God. So what then can man do to me? For the keeper of my soul watches me. We do not have a God who looks on from the outside as we struggle along the way. But we have a God who enters with us into the midst of the fire. He walks the troubled path with us, taking us through to the other side. He is our God and we are His people, engraved upon his hand: a perpetual covenant between the Lord and His chosen. So as you travel the journey of this earthly life, remember: you are not forsaken. Oncology Nurse turned homeschool educator, Susan Van Volkenburgh is an award winning author of Christian fiction and non-fiction books. After the death of her father on September 11, 2001, Susan began speaking of her experience. Her book, SILENT RESOLVE AND THE GOD WHO LET ME DOWN (A 9/11 story), recounts Susan’s loss and subsequent spiritual journey. Born too late to experience antiquity first hand, Susan spends much of her time studying and teaching ancient history. 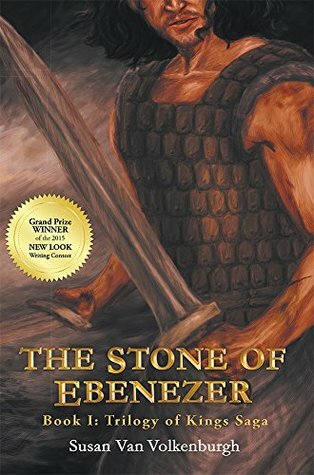 Therefore, it seemed only natural that she should draw from the experience of grief and trauma to write THE STONE OF EBENEZER, Book 1: Trilogy of Kings Saga, a story of faith and restoration through the medium of Biblical fiction. I wasn’t going to do this today. I was planning on just getting through the day. Fourteen years ago today, at 9:37 am, my father lost his life. September 11, 2001 was a day of sorrow and terror. Even so, I have found hope. It was not all evil that day, but love and support, hope and encouragement. Several years ago I wrote an article for the Dalhart Texan. The response I received was overwhelming. In fact, it was this article that inspired me to write my book, SILENT RESOLVE AND THE GOD WHO LET ME DOWN. And so I thought this day, today, that the Lord has made, I would share it with you. “Many that live deserve death. And some that die deserve life. The events of September 11, 2001 mark a change in my life. On that day my precious father, Stanley R. Hall, was ripped from this world as American Airlines flight 77 plummeted into the Pentagon in Washington DC. Numb and dazed we walked those first months. FBI agents, memorials, honors given, all a haze of lost senses. As we traveled by car to Virginia that night, the skies were silent, empty and dark. The amazing thing about the night sky without planes, the stars are more notable. It was as though the magnificence of God’s majesty shined the brighter for the lack of man’s influence upon the heavens. Beyond this world, there lies goodness that cannot be touched by evil. September, 11, 2001, a day like any other, began as a beautiful fall day, the air fresh, the sun warm, and the skies clear. As always the children and I began our day with our Bible study. The day’s subject was Shadrach, Meshach and Abednego. In discussing the three being placed into the fiery furnace for their unwavering faith in God, I made the cryptic statement that no matter what happens in our life, even when we go through the fiery furnace, still we must follow the Lord. I did not know that at that very moment my own life would be put through the furnace and my words tested. But I think the key is in the word “through”, for we do go through, we do not stay in the furnace. There is an end to our trouble if we stand firm. For even as the three young men stood within the flames of the furnace, they were not alone, but a fourth stood beside them. We are not alone. And so I say “even so” I will serve the Lord. So what then can man do to me? For the keeper of my soul watches me. Though God’s protection is not always for our bodies, it is a constant for our souls. And in the end, it is our final home that is most important. This mortal coil which we cling to so ardently is not what it is all about. Yet when one that is loved is taken, we cannot help but look back at what has been lost. Memories haunt our thoughts, they sneak up and jar us unawares, then the heart ache grabs us and grief spills out as we melt into a puddle of emotion. Memories, those distant thoughts that bind us to our past, cause so much pain, and comfort. I miss the sound of his footsteps upon the wood floor as he came home each night. I miss the soft creak of the stairs late at night when all others had gone to bed. His sneezing in the morning, the look upon his face as he silently sat and watched as the family gathered. His “how about that” so often said, his meaning clear “I love you.” I miss his resolve to lead a life of integrity, and honor, and steadfastness, his quiet and resolute spirit to follow God where ever He led, to whatever end. There is no question in my mind that on the morning of September 11th that my dear father followed God and entered into his glory. My father was a patriot. Often a tear could be seen tracing a path down his cheek when the national anthem was played. Forever the flag, those beautiful stars and stripes, will be etched into my mind as a symbol of loss, of freedom, of pride. Bought with a precious price. The terrible acts on September 11th demonstrate to us that freedom is not guaranteed. How fragile we hold it, knowing that its loss is but one generation away. We must never forget all who have sacrificed so much down through the ages, and are those paying for our freedoms still. Yet when the cost is placed upon your own life, it is hard to bear. As we think upon the evil that runs ramped in this world it is easy to rise up and cry out, “Why God?” just as the prophet Habakkuk did as the Babylonian army marched on Jerusalem in 605BC. “O LORD, how long shall I cry, And You will not hear? Even cry out to You, “Violence!” And You will not save. Yet who can know the mind of God? God created man with free will, but this gift comes with a price. Man often uses his free will to choose evil. As long as we live upon this earth, the free will of man will touch our lives for good or for ill. So what did God say in reply to the prophet’s question? So I wait on the Lord. There is a comfort even in tragedy if one walks according to God’s will. “For the steps of a good man are ordered by the Lord” (Psalm 37:23), therefore each step taken must pass before the sanction of God. With the Lord’s ultimate control, the fabric of His plan is woven, each of His children being a single thread. It is a strange comfort to know that nothing can befall you without God’s approval. “And we know that all things work together for good to those who love God, to those who are the called according to His purpose.” (Romans 8:28) This is not to say that all things are good, but that they work to the good of our future, to fulfill the ultimate good of God’s plan – a plan of Redemption for humanity. As I stand on the brink of a new day, looking to the east as the golden orb opens her eye above the horizon; I feel her warmth upon my face. Her radiant beams reach out across the skies and chase the dark of night away. So too I stand and wait upon God’s Son as he illuminates my new day with His warmth and love. And so I place my trust in Him, the Keeper of life, the Strength of my soul. Sometimes the path is difficult, and we grow weary and we wish we did not have to face what lies ahead. No one can know our hurts and our sorrows. Yet the Lord knows, for He has walked this path before us. All we must do is follow Him through. Though that path may be slick and we may stumble, the Lord has gone before us and marked the way. Life continues, the young grow, the seasons pass, yet one is missing. But he waits for me – I will join him in glorious reunion. His life has been a testimony of faith for me to follow. He lived his Silent Resolve. So I face a new day as I “haul up the morning” and though the morning may seem distant I stand firm knowing that the night must always give way to the dawn. The books will be balanced – but not in our time, in God’s time. As summer closes, and the fresh scent of autumn brushes against the dawn, my thoughts are pulled back to a day the changed everything for me. This week marks the 14th anniversary of September 11. I am often asked to describe what happen to me that day, of how I found out that my family was so personally involved in that tragedy. It has been a long and difficult road, but one I freely share. Here is the first chapter in the record of my journey. May we never forget. and on the other side of the world. How do I begin? How do I tell the tale of all that has happened? Ten years it has been, as I sit here trying to put down the thoughts and feelings that have occurred since that day. It seems insurmountable to place into words all that has transpired, yet I feel a need to try. So how do I begin? It is a tale wrought with anguish and woe, and yet, as I look back, as I walked in the dark path of suffering, I see more clearly that it is also a tale that has always been a Pharos that shone upon the way, though I could not see it at the beginning. But it was there, always there summoning me, as a beacon of light piercing the darkness, calling out to me from around the bend. All I needed to do was take a few more steps, and then I would have seen it. That is how it often is when trials come. We are blinded by our sorrow and fear to all that is available to help us. And so it happened. God let me down. It was a beautiful morning. The sun shone brightly. A faint breeze brushed through leaves painted with gold and red, whispering of autumn. The blush of day was still and silent, as though inhaling a breath and holding onto it, waiting to exhale. Suddenly, the sound of engines roaring broke through the air, growing ever louder. In an instant, no life would be the same; my life would never be the same. The events of September 11, 2001, mark a change in my life. On that day, my precious father, Stanley R. Hall, was ripped from this world as American Airlines Flight 77 plummeted into the Pentagon in Washington, DC. Numb and dazed, we walked those first months. 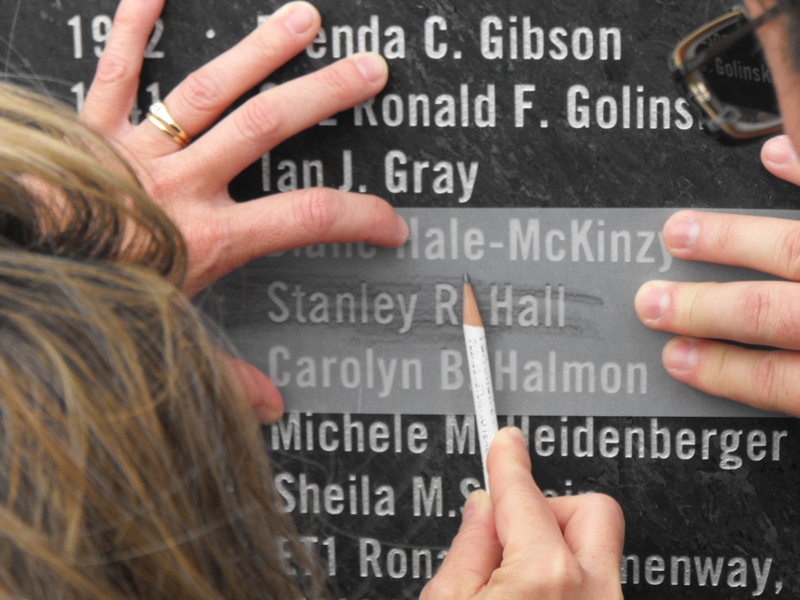 FBI agents, memorial services, honors given, all a haze of lost senses. How did we become entangled in this? How did my family get caught up in this conflict? I cannot answer these questions. All I know is that I am forever changed, marked by the wound of that day. I look back at pictures taken before September 11 and think, that was before, when we were innocent, before everything changed. I see myself as a different person than the woman in those photographs. Life is much more serious now. A shadow of mourning hovers over me each day. Living with grief is hard. The moment I realized my father was aboard the plane was like being slapped in the face for no reason. My breath escaped me. My chest constricted, crushing me with the weight of loss. For days, I was unable to swallow, except to swallow the grief. That morning, I was ignorant of what was happening outside the walls of my bustling household. I was busy preparing for the day. Besides homeschooling my three children, I had just taken on the responsibility of running the children’s program at our church. I had planned to spend that beautiful September morning working at church, preparing the children’s church room. I was in the process of packing the car to make ready for the week’s activities, taking schoolwork for the kids, when the phone rang. The phone rang. If only I had not picked it up, I could have stayed the sorrow that was to follow. But I did pick it up; ignorant of what lay before me with the words that would soon follow my cheerful hello. “Where’s Daddy?” my brother asked, urgency in his voice. Confusion swept over me. My brother was in Rochester, New York. Why was he calling me? My father lived in Virginia. How should I know where he was at that moment? “Turn on the TV. Don’t you know the world’s coming to an end?” he cried. He told me he had tried to call our mother, but all the lines were down in Virginia. He couldn’t get through to her. I reached for the remote and turned on the TV. Horror filled my eyes as the news broadcast the planes flying into the World Trade Center. Then, as the nation let out a collective gasp, the towers collapsed. A cloud of dust and debris filled the city. All those people. Tears streamed from my eyes, yet I had no idea that our family would be pulled so personally into this tragedy. Then word came that the Pentagon had been struck. My father often worked in the Pentagon. My heart paused. Through his company’s headquarters in Virginia, my husband was able to get through to my mother. She told us that my father was safe, for his plane to California had left earlier that morning. That was when fear began to take me. While I calculated events as the newscast pronounced them, I began to realize that the timing of the plane’s takeoff might mean that he was not safe. I held my breath. My husband looked sorrowfully into my eyes and with a broken voice said, “I’m so sorry.” Horror struck, I returned his gaze. My mother hung on the phone. He must have told her that it was my father’s flight that crashed into the Pentagon, but I do not recall what followed. I stood aghast, unbelieving. Then I thought of my mother listening on the other end of the phone. What do I do? I ran from the room. I did not want my mother to hear me sobbing. My first thought was that life was over. In an instant, the culmination of all my hopes and dreams came crashing down. There was no need to go on. Nothing would be the same. I did not care what happened to me. Death could take me. That would be all right. My heart was hollow, echoing of loss, each breath a struggle, each moment something to endure. What was the point of going on? All was lost. It was over. Overcome, I collapsed on the floor. My two oldest children, then ten and six, ran over and wrapped their precious little arms around me, the remnant of him. Confused, they held their sobbing mother as I cried, “No, no, no” over and over again. As I knelt there on the floor, cradling my body within my arms, I told myself, pull it together. You are carrying on for no reason. Daddy is going to call. We don’t even know for sure if he was aboard the plane. Stop crying and stand up. You are getting ahead of yourself. But what if it were true? What if he was dead? It was beyond my comprehension. After a time, I got up. I had to get control of myself. My little ones needed me. I have spent my life traveling, packing many suitcases, but in that moment, I had forgotten. Numb, I turned and went upstairs. Previously, I had purchased a black dress. As of then, I had not had an occasion to wear it. I laid the dress upon the bed next to my suitcase. I refused to pack it. Black dresses were what you wore to funerals. The dress wouldn’t be needed; I knew my father would call. He just couldn’t get through. The phone lines were down. That was all. But the call never came. My husband was finally able to contact the airlines. The representative confirmed that my father had checked in, but could not establish that he had actually boarded the plane. I knew he had. He would not have checked in and not boarded. Finally, I carefully placed my new black dress inside the suitcase and closed the lid. That was that. This is what it is. All I could think was get to Mother. She was alone. We were in Texas; she was in Virginia. Never before had I felt so far away. My uncle lived in Maryland, my sister also; only an hour’s drive away from my mother’s house, but Washington, DC was shut down. The Beltway was closed. There was no easy way for anyone to get from Maryland to Virginia. She was all alone. All planes were grounded. There was nothing else to do but drive the long hours to Virginia. I called my close friend to tell her what had happened and to let her know we were leaving town. Stunned, she asked if she could come over to be with me. I told her no. I was afraid that if she came to comfort me I would fall apart. I had to be strong. I had much to do, and I could not afford to break down. There would be time enough to grieve, but at that moment, I had to get to Virginia. Hours slipped by. By late afternoon, it was reported that Al-Qaeda, a terrorist group of radical Muslims, claimed responsibility for the attacks. With this added knowledge, we began to prepare for the trip. We needed to get the car in good order. Anesthetized by shock, I dropped my husband off to run an errand, and then I took the car to get the oil changed. As the kids and I waited in the lobby, the news was on the TV, showing us over and over again the unfolding of terror. There was the Pentagon, its walls collapsed and burning. How could my father be in the midst of those flames? I looked away. The shop had a LEGO table set up, so I watched the kids build towers with the blocks as I held my eleven month old in my lap. A shock wave ran down my body. But I let them play, aware they were trying to make sense of the senseless, trying to come to terms with what their innocent eyes were forced to witness. Their lives would never be the same. They would have to live in this world, now so touched by hate. In the stillness that followed September 11, the silent emptiness filled us with the stunned awe of disbelief. How could anyone do such a thing, such a terrible thing? How can we live in a world so full of hate? So we drove, twenty-three hours stopping only for food and fuel. Twenty-three hours with three children, one of them a baby, cramped for what seemed like endless hours in the backseat. There was not a sound of complaint, not a whimper of discomfort as the hours stretched on through the night and into the opening of the next day. We kept the radio off, shutting our minds from the events that had occurred. The car was silent; the skies were dark, the hours rolled by. I sat stunned in my seat. My aunt and uncle from Maryland finally made it through DC and stayed with my mother for a few hours until my brother from New York arrived. We finally reached my mother’s house on the afternoon of the twelfth. We came through the door tired and grieved. We fell into waiting arms, clung to one another, and sobbed. Well-meaning people would tell me, “Don’t worry, everything will be okay.” They would hug me or pat my back as though they could wipe away the sorrow. But how could everything be okay? You cannot fix everything. You cannot undo death. How will this ever be okay? How do you go back? 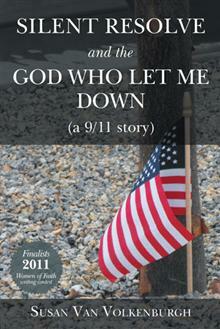 The story continues in SILENT RESOLVE AND THE GOD WHO LET ME DOWN (a 9/11 story). I hope you will join me in this journey, to see what is was that God revealed to me. May it be a light to you when your way is dark. The grief was still too near, a matter for tears and not yet for song. After two weeks of dealing with the aftermath of September 11, our family returned home. I was to resume the threads of a normal life. But how could life ever be normal again? Outwardly, I performed all that was expected. Inwardly, I felt as though I was moving through a thick fog, dazed and confused. Within days of arriving home, we celebrated our youngest son’s birthday. I sat there looking on, knowing that I needed to cherish the moment, this first birthday of my last child, but really, I wasn’t even there. I felt nothing. I was numb. My son’s entire life has been his mother trying to come to terms with 9/11. Yet somehow, I walked through the days and months that followed. The school year continued, more birthdays came; then the holidays approached, and the weariness set in. Life is hard. Just the breath we take in can become a burden. There were days when all I could do was focus on the next moment, for to look beyond that next moment was overwhelming. I would go through the day saying, “All I am going to do is unload the dishwasher. That is all I have to do. I will think of nothing but unloading the dishwasher.” Then I would swallow the tears and unload the dishwasher. Then I would say, “Now I am going to load the dishwasher. I will think of nothing but loading the dishwasher….” Moment to moment was all I could handle. I wanted to throw the covers over my head and stay in bed forever. But I had a baby who needed me, so I got up and faced each new day, each day where no dawn could reach me. How can God understand my hurt? “Does He have eyes of flesh? Or does He see as man sees?” (Job 10:4) Even worse, if He grasps how I feel, how could He let this happen knowing full well how this would affect me? If God is Love, how can He allow Hate to strike His own? And so the tears come as the loss overwhelms, like a wave that crashes into me and tosses me, threatening to drag me out to sea. Each new memory casts me back into the grief and loss. The emptiness consumes me, a fire that cannot be extinguished. Yet Hope springs in the darkest hour. I have felt forsaken. On September 11, 2001, my father was ripped from this world by terrorists. In that moment, I felt forsaken. All that I had believed in, trusted in, was stripped out from under me. He has inscribed you on the palms of His hands…..
Not only does He know our name, but He bears our scars upon His flesh…forever. I have been afraid. I am sure you have too. We live in a world full of terror. But who are we that we should be afraid when the Lord is our God? If we are afraid, we do not believe. We have a powerful God. So why do we fear? We do not have a God who looks on from the outside as we struggle along the way. But we have a God who enters with us into the midst of the fire. He walks the troubled path with us, taking us through to the other side. He is our God and we are His people, engraved upon his hand: a perpetual covenant between the Lord and His chosen. 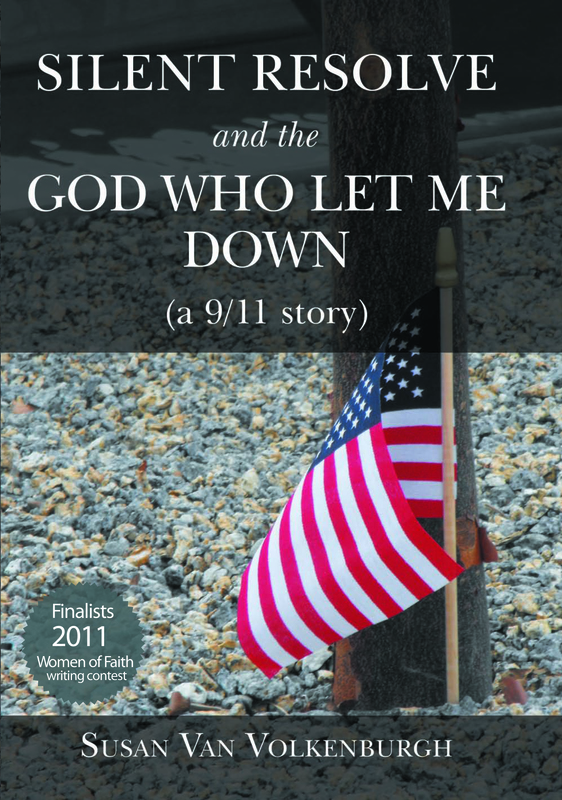 If you would like to learn more about Susan’s experience with September 11, 2001, read her book: SILENT RESOLVE AND THE GOD WHO LET ME DOWN (a 9/11 story). You can find it at Amazon, Barnes and Nobles, or your area retailers. A Dreadful Day – For those of us who remember that September morning also recall the pain, sadness and hopelessness that clouded a nation. Thousands died and the victims’ families were forced to begin a journey that none of them wanted to take. 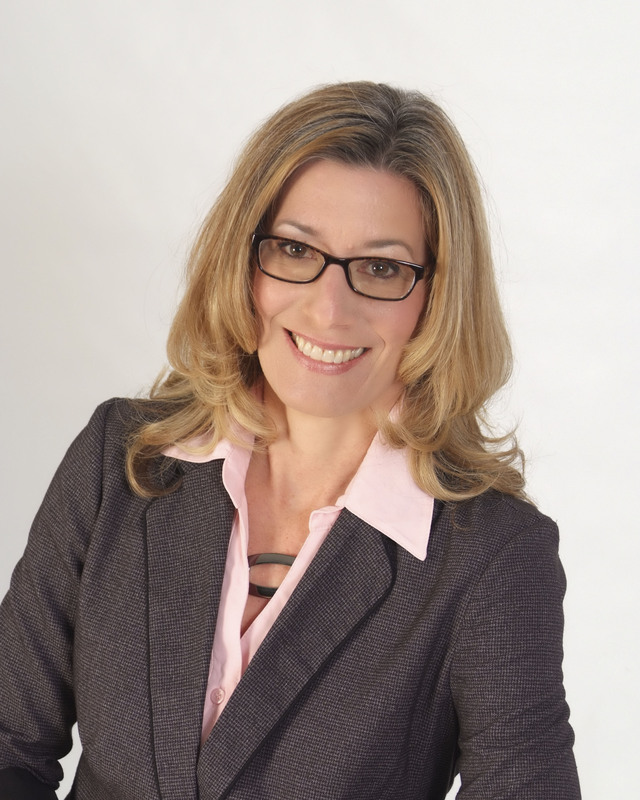 Kathy welcomes into The Sitting Room, Susan Van Volkenburgh, author of the book, “Silent Resolve and the God Who Let Me Down: (A 9/11 Story)” to recount her journey. On September 11, 2001 at 9:37 a.m., American Airlines Flight 77 plummeted into the Pentagon, taking the lives of 184 innocent people. One of them was Susan’s father, Stanley R. Hall. At that moment, everything changed for Susan. Everything she knew, everything she ever believed in, came crashing down. Her life began to unravel. This ten-year journey through the desert, through a land where God was silent, was a time of trial and of spiritual awakening. Could faith endure in the face of so great a loss, so large a betrayal? Transcending the events of September 11, this spiritual odyssey moves through the mire of grief and loss, to question the very motives and promises of God.